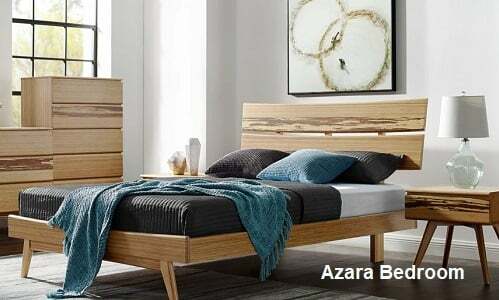 The Nagoya Platform Bed creates an eco-friendly bamboo bedroom that serves as a sanctuary of harmony and relaxation. Need some rest, relaxation and peace in your life? 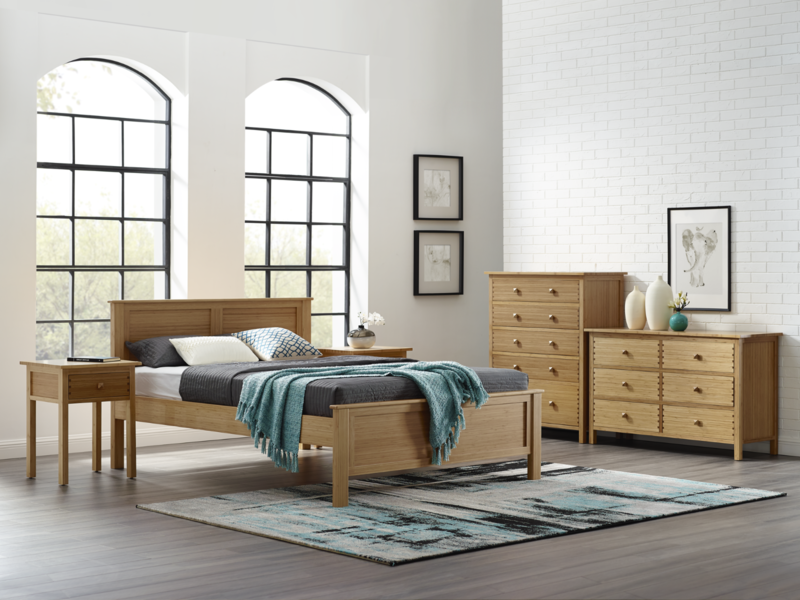 You can create a calm, restful space in your own home with our Nagoya Bedroom Furniture Set, and make your bedroom more than just a room with a bed in it. 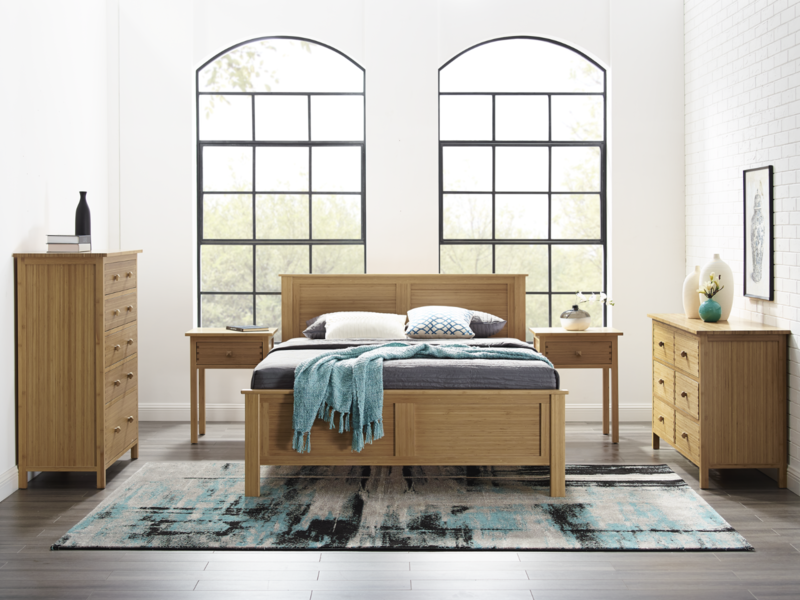 Create a bedroom that serves as a sanctuary of harmony and relaxation with the Nagoya Bedroom Collection. Nagoya in Japanese means “peaceful,” "calm" or "harmonious." 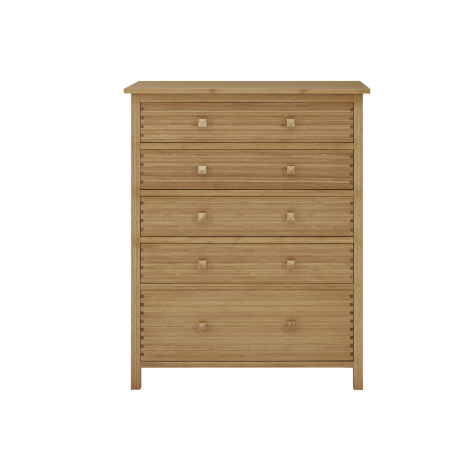 The Nagoya Bedroom set as well as our other extensive lines of bedroom furniture have been designed with exactly these ideas in mind. Each distinctive line offers an easy and affordable way to create your bedroom as a special place of welcome, rest and enjoyment. 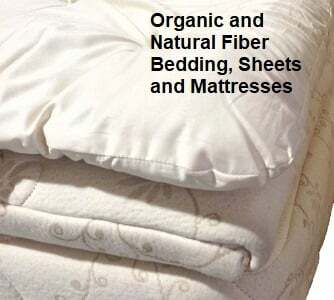 Adding to your peace of mind is the strength of eco-friendly bamboo. Bamboo in Japan represents strength, integrity, bravery, and flexibility. In a strong storm, trees can be blown down but bamboo bends with the wind and stands firm while bending with the forces of nature. The Nagoya Bamboo Bedroom Collection combines a classic Japanese panel design with the warmth of a caramelized finish compliments both traditional and contemporary decor in your home. The Nagoya bamboo platform bed is available in a Queen or King size and offers solid, upward curved wood slats upon which the mattress is placed. 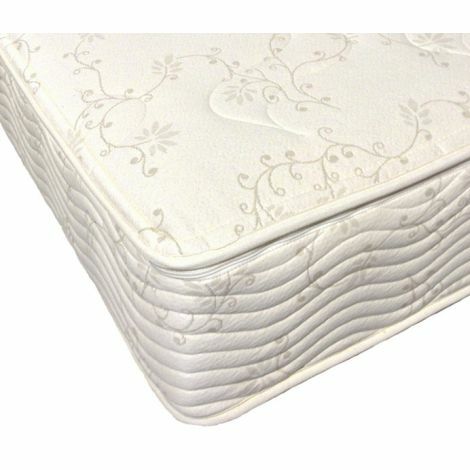 This system works great with any type of mattress. The bamboo furniture has a deep warm caramelized finish that brings out the grain and highlights of the wood. 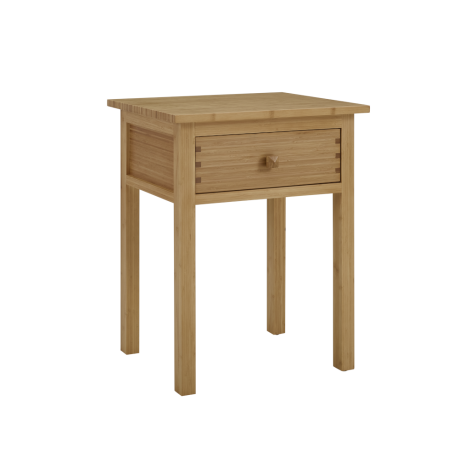 As bamboo wood is an all-natural product, natural wood grains and color will differ slightly further enhancing the beauty and value of the furniture. 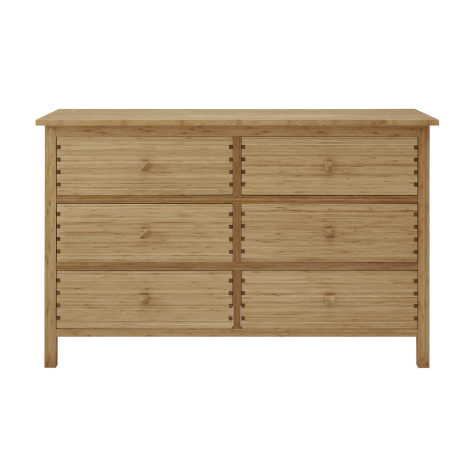 If you like the Nagoya Bed, be sure to check out our Nagoya Bedroom Furniture set, which features the Nagoya Platform bed, matching nightstands, and dressers. Simple, straightforward lines contrast and offset the rich texture of the natural bamboo, creating a look that is beautiful and calming. The use of warm bamboo wood grains and soft natural colors further add to this sense of comfort, rest, and repose. The Nagoya Bamboo Platform Bedroom Collection offers classic Asian style with a stunning design, as well as an affordable way to create a whole new bedroom with a look and feel of relaxing ambiance.